“It takes me an hour to reach the only functional water pump in our area. I have to struggle with the large crowd of people there to fill my bucket. I then carry it back to our tent and have one roti (chappati) for breakfast. Later, I go out to help my brothers and father in picking cotton from the farm, which is flooded with two feet of water. We are trying to salvage as much of the cotton as possible, otherwise we will have much more debt to repay in the years to come. In the evening, I work for four to five hours in a tea shop near Mirpur Khas city, where I can make 50 rupees ($.57) every day." These are the words of a 12-year-old boy in Mirpur Khas district. 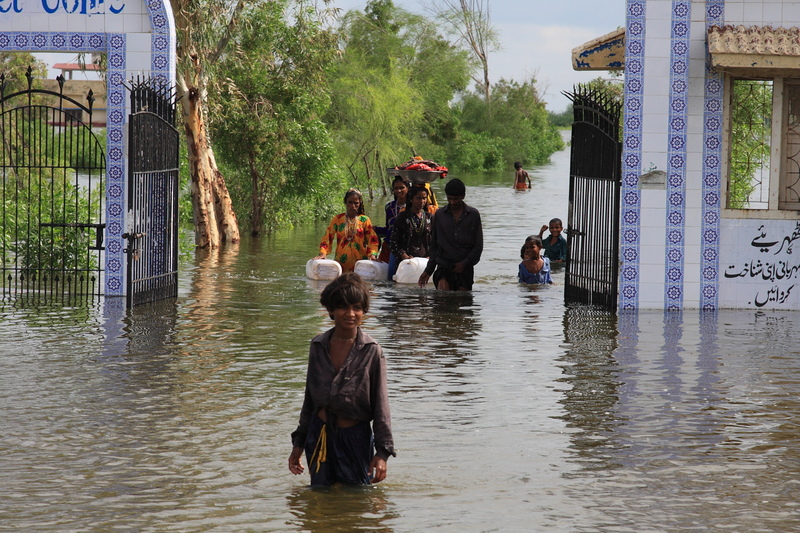 Even before the floods, the communities in worst affected areas of Lower Sindh were deprived of the even basic necessities such as proper housing, sufficient quantities of food, clean drinking water, education and healthcare. Displaced families leaving a temporary relief camp in Badin district. 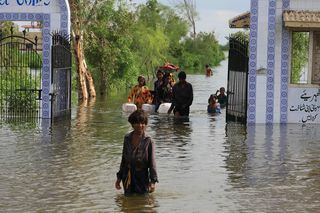 The camp was flooded due to incessant rains. This coastal belt of Sindh often experiences minor floods and was also affected by the massive riverine floods last year but what I have seen in the past few days is beyond belief. It seemed as if I had landed on another planet. What used to be farmlands resemble vast lakes touching the horizon while rows after rows of thatched shelters are pitched up along the only road spared by the floods. Hundreds of thousands of people are homeless; those who were lucky to find room in government school buildings were pushed out when floodwaters rose to more than six feet. As men scrounge for work and fill forms to get relief supplies, women and children queue in long rows to collect water at hand pumps and trucks distributing clean water. Children walk up to their knees or swim in stagnant water. The long term risks are alarming – peoples’ savings are invested in cattle and the surviving animals are becoming weaker due to the scarcity of food. “I am forced to sell our goats at half price before they die,” said one farmer, “and this is the only cash I have to support my family till spring crops are harvested next year. 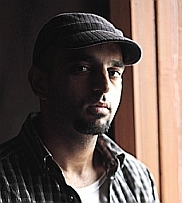 That’s why my children have to work in the city.” This means boys as young as six dropping out of schools and working in hazardous informal setups, including auto workshops, tea houses, bus stands and labor work at construction sites. 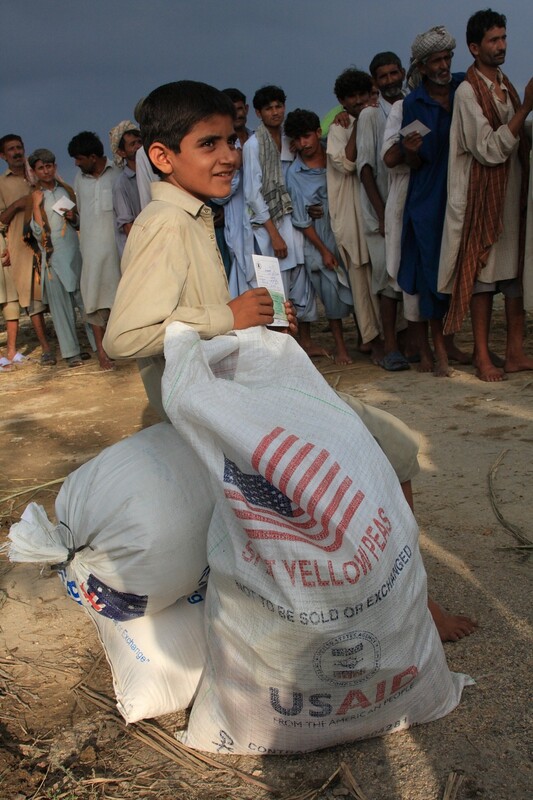 Abdul, 12, smiles after receiving a monthly food ration from Save the Children. After a lackluster response from the international community and national media, interest in this emergency is slowly picking up. BBC, CNN, and Al-Jazeera, as well as national electronic and print networks are now covering the real-life stories of families struggling to survive. They need to continue sharing the details of the crisis with the world before it is too late.